His tools: a wooden dowel and an oversized tongue depressor. Rocked back and forth on a work surface, the dowel flattens pellets of dough, each the size of a dinner mint, into perfectly uniform discs as thin as parchment. The tongue depressor is then used to scoop up small amounts of the raw ground pork filling, smearing it onto the flat rounds like paste. Then with sleight of hand more amazing than anything David Copperfield has ever demonstrated, he picks up a filled specimen and pleats the top in a knitting motion with his nimble fingers. Within seconds, the piece is crimped with spiralling folds and transformed into a tight bulbous sphere. Grouped ten to a basket and steamed over a roiling vat of water, a juicy pork dumpling, or xiao long bao, is born. Outside, within view of the glass window from the dumpling assembly room, dozens of people mill about, waiting for their chance to indulge in these perfect pouches of pork. For the pleasure, they will wait an hour or more. On this sunny Sunday morning, I am one of these people -- queueing up in a ritual that has become a familiar routine for me and every customer since Din Tai Fung has been in business in Arcadia. To come is to wait. Cumulatively, I estimate that I usually spend more time waiting for a table than I do driving from Orange County to this sole American outlet of the legendary Taiwanese restaurant. But much has been written about Din Tai Fung in the seven years that it has been open. For every person that gives it praise, there is another that thinks its food is overrated and its popularity fueled by hype. In the same impassioned breath that a Lord of The Rings fan would disparage the Star Wars films, some proclaim that there are better dumpling houses in San Gabriel Valley. While there may be some truth to this, the same futility lies in both pleas, because regardless of what is said, George Lucas and Peter Jackson get richer, and the line at Din Tai Fung never gets any shorter. A few years ago, after being stuck in it for the tenth time, I was fed up, and I defected to Mei Long Village, a nearby competitor which also serves up highly regarded and equally delicious steam baskets of xiao long bao without so much as a two-minute wait. But within a few months, I found myself crawling back to Arcadia, like a masochistic junkie. My drug of choice was, of course, the Juicy Pork Dumplings ($6.75) and they are worth the hour lost in limbo. As soon as it is served and the lid is removed, a plume of white steam billowed from the basket. Inside, I found them -- those precious, cute buttons with Curly-Q tops I saw being born earlier -- now sporting sagging bellies full of broth. Picking one up with chopsticks is a task to be done tenderly, as if moving a vial of nitroglycerin. Handle it roughly, and the whole thing explodes, spewing out fatty juice and flavor. But experience has taught me how to do it properly, treating the fragile outer membrane with respect. After it was safely perched in my Chinese soup spoon, I nibbled the top off to expose its juicy innards and then sipped the hot soup welled up inside. It's a rich, porky brew -- savory and flavorful to the max. But the decadence didn't end there. What's left after the last drop of broth is gone, was a fatty morsel of pork and the supple noodle skin. I garnished it with refreshing slivers of julienned ginger and dribbled on a slurry of vinegar, soy sauce, and chili paste before I gulped it down with a single and determined slurp. But to wait an hour and only eat the dumplings is folly. So we ordered a plate of veggies -- required to offset the richness of those protein purses. The best to fulfill this duty was the Sauteed Green Beans ($7.00), which were first oil-blanched and then wokked with minced garlic and salt. The quick blanching in hot fat rendered the leathery outer skin tender while leaving the rest crisp and greener than emeralds. For one starch, we tried a plate of Stir Fried Rice Cake ($7.00), which chewed much like soy-sauce flavored gum. The dish was full of contrasting textures -- with crunchy onion, bok choy, napa cabbage and pork playing against the bounce and chewy firmness of the densely compacted rice flour dough. The Fried Pork Chop ($3.25) was aromatic, crusted with a dusting of five-spice and cooked to a mahogany luster. Once all the white meat was consumed, I found myself gnawing on the bones like a snarling dog. Less than stellar was the Pork Fried Rice ($5.75) -- one of the dullest plates I've ever had. Flavorless and downright bland, not even the fatty strips of pork strewned within was able to save the dish from a banal existence. The Wonton Soup ($5.50) was better. Featuring the clean, bright flavors of freshly boiled chicken, the subtle broth brought with each sip the essence of the bird. Swimming in it, like a graceful Esther Williams, were shrimp enveloped in a flowing gown of sheer noodle. On the flip side, opposite in every respect to the Wonton Soup's subtlety, was the Roasted Beef Soup ($5.50). Robust and full-bodied, beneath its dark and murky depths lurked licorice-flavors of anise and the cloying sweetness of beef fat. Still swooning over the xiao long bao, we soon found out that not all things dumpling are worth ordering. The Vegetable Dumplings ($6.75) were dry and mealy. If the thin wrappers of the Juicy Pork Dumplings were silk, these were made of burlap -- simultaneously tough, chewy and thick. Thankfully, the Red Bean Dumpling's ($4.50) used the same thin wrapper as the xiao long bao. And it was the perfect dumpling closer to the meal. Designed as dessert, it's stuffed with a candy-sweet bean paste -- a confection that has the stick-to-your teeth consistency of peanut butter. With Din Tai Fung's expansion to bigger digs in the same plaza set to open in May, I'm hoping the wait will decrease. But to think that a larger space will make it faster to get in is as hopeful as thinking that the next George Lucas or Peter Jackson spectacle won't find an opening day audience of geeks. That's my kind of food! The rice cakes are a favorite of mine. I don't think you can see this from your workstation, but I just gave you a standing ovation, along with some hoots and whistles and an Arsenio Hall-style fist pump. This post was so mouthwateringly and right-on-the-money descriptive, that I don't think I'll ever need to wait in line for Din Tai Fung's dumplings after this. This post didn't just make me hungry--I have a satisfied feeling in my stomach as if I actually eaten your meal. Elmo, if you could see me now, I have tears streaming from my eyes. Encore! Encore! And your pictures are AMAZING. Elmo, you really are rock star! No, you are the Meryl Streep of the movie industry... The Sergey Brin and Larry Page of the internet search engines... The Warren Buffet of the investing world... The Elmo and Kirk of the food blogging world! Sorry for the spam-like nature of these repeated comments, but this post warrants three responses! I also really like the time-lapse (or action shots) of the dumpling maker! Nice! This place looks great. I actually work near Arcadia, so I'll have to give it a try sometime during the workweek. I've always enjoyed your reviews. I've also recently noticed that you've added me to your list of links, very many thanks for that. I had some juicy dumpling at Sam Woo in Irvine not what I was hoping for but then again I had it at the wrong place of course. Anyway, I have been particularly consumed with trying this place since a fellow Phoenix food blogger wrote about it. Your review gave this place great depth and I am now even more consumed with getting there. I've been here a few times. But, the juicy dumplings (or as I affectionately know them as "soup dumplings") are just not as good here as they are in other places. The best I know of (besides China) is Joe's Shanghai in NYC. Believe it or not, the soup is even greasier and fattier...which is why it's so good. I'm still looking for a place in SoCal that serves good ones. Admittedly, this may be the Taiwanese counterpart of the dumplings I love, so given that, they're not bad. It's just not what I was expecting. Great review and I hate your photos. All they do is make my stomach growl. This is comfort food for me. Nothin' too spicy or fancy...just simply prepared and delicious. LOL! I am tickled and honored to have not one PE comment of praise, but three! Thank you!!! I'm flattered and empowered to write more. I hope you won't have to wait as long. Cause there's nothing worse than having to make up an excuse for taking a long lunch, even if it's a good one like DTF's dumplings. BTW, love your blog. I tried to comment on your Alton Brown post, but my comment disappeared. I've had Sam Woo's XLB back in the day, but they've been really slipping lately. I haven't been back for a long time. 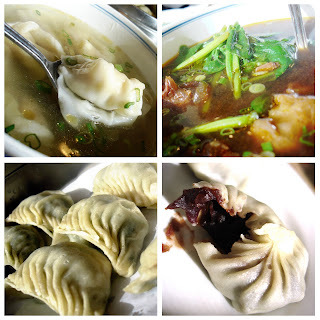 DTF is just one of many great dumplings places in SGV. If only there's a place in OC that does them properly (New Shanghai seems to be a blogger favorite, but it's now gone). That's freaky! I actually put off posting this until now. The visit you see was sometime in January. I guess the blogger bio-rhythms are in sync again! I hear that the DTF dumplings are different here because of a couple of factors. One of the most important: the pork isn't as fatty in the States. 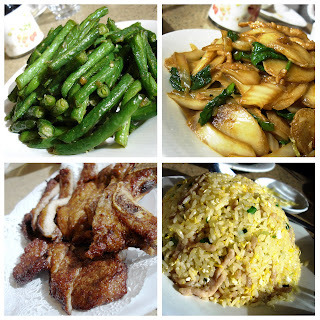 I think I have tried Joe's Shanghai in NYC...and you're right, they're amazing! Guess what dumpling place I'm going to try this weekend when I visit a friend in SGV! Geesh thanks for the high hopes in OC for some XLB. Any other recommendations? Elmo, I actually went to DTF at around 11:45am yesterday and saw a line out the door. I kept on driving since I didn't have that kind of time for lunch. I'll have to plan for another time. And that's strange about you commenting on my blog, I didn't receive any notice for it or remove any comments. But thanks for trying anyways! I wish I had better news. But I think we're out of luck for good XLB in OC. I wouldn't recommend 3.6.9. in Anaheim because they've slipped quite drastically, plus I thought the owners were really mean to their customers. Although I think A&J in Irvine might have XLB. But I haven't heard any reports to confirm it. I also had a bad batch of shrimp dumplings at DTF once. The shrimp were dryer than dust! A line begets a bigger line! I hate to say it but I do feel a sense of accomplishment when I get a table at DTF. It's like I earned the right to eat these dumplings. They might actually taste better because I know those people outside are wishing they had some right as I'm having them! So it's crowded on weekdays too! I think I heard if you want to get in without waiting you have to show up at 10:00 am so that when they open their doors unofficially at 10:45 (they officially open at 11:00 am) you're in! This restaurant has been always packed in Taipei, since I was a child. But the taste does warrant the wait. Hmm... We should blogger road trip this puppy. I love almost everything, but if you trust me, don't order the chive, egg, vermicelli noodle dumpling. Can't wait to hear your verdict! Love the video - if only you could zoom in on the hands haha. I've stopped going here b/c the wait is simply ridiculous. If you're in for non-XLB places, give Dumpling 10053 in El Monte a shot - great shrimp/leek boiled dumplings. I've eaten them three times in three weeks. L.dumpling is on my to-eat list. I'm with PE, the photos look great. what the @#$%! You are one traveling/eating/food bloggin fool (and I LOVE it!) Sounds & looks incredible. I am curious to know if you've ever tried Kim Su on Bolsa in Westminster (dim sum daily) or Champion Foods on Magnolia in FV (weekends only). I like both, with Champion Foods being somewhat of a favorite because I think they have some serious authenticity going on with flavors that I remember from my childhood when we had a Taiwanese college student living with us, cooking and bringing home goodies for us kids. Champion Foods is the only place that I have ever found rice rolls just like I remember them. now I'm serial posting too... I swear that I had XLB at Champion Foods a few weekends ago. It was new on the menu and The Husband and I LOVED them. Finally you're giving the props to this place. Many people on Yelp.com thinks Luscious Dumplings is better than Din Tai Fung. What do you think? Have you tried that yet? Good write up about this place. I love din tai fung! I actually tried the dumplings at the original Taipei store last winter, and thought it tastes almost just like the ones here in Arcadia... both are just as good! i like cp's idea.... "blogger roaaaaddddd trippppppp!" Another great place is J&J. We should hit that place too. I'm game if you are! But my god, how early will we have to wake up? I think the owners have also said that the taste is slightly different because our pork is a lot leaner here. I guess where there's fat, there's flavor. MAN! My friend cancelled, so I had no reason to drive up to SGV this weekend. Oh well, his loss. I would've treated! I debated holding off posting a video until I got one that had it zoomed in. They've got mad skillz those peeps. I've eaten at Dumplings 10053 and love it! Yeah, I don't often venture out of OC. But when there's a good reason, like these babies, I'll gladly gas up! I haven't tried Kim Su nor have I heard of Champion! These sound like solid leads! Will have to check it out. Thanks! Yup! They're the McDonald's of xiao long bao (but in a good way). Thanks! I've not tried Luscious. But I came close this weekend. I seriously need to though. Those are awesome pics! I believe I've seen them before on your site, but didn't realize it was DTF. I'll be your camera man again! You should definitely try Champion Foods. They sell a number of things (including frozen dumplings) and dried pork and squid and such along with boba, fresh breeze and chicken snack or squid... but Dim Sum only in the mornings on the weekend. The couple that owns the store is sweet and kind. One weekend I asked if I could get a hot tea. She swiped some tea from her husband and served it to me no charge. It's just a store front (you'll see lots of people coming in for take out). Tables and backless stools. But we love eating there because they're so friendly, everything is pretty much made to order and tasty. I'm interested to see what you think! Oh! THAT Champion! I know the place. Yes I love them. Kim Su on the other hand I must seek out. Sounds like just my type of place. Ding Tai Fung actually has two stores in Taipei, and both tend to have really long waits - though I think the original store might be slightly worse. I'd wait to eat at the original one in a heartbeat, or however many heartbeats it takes in 2-hours or more to get my lips around a XLB. I've eaten at this chain in several countries. The best was the one in Taipei, followed by the one in Singapore inside some mall on Orchid St. However in Taipei it's not very difficult to find places that serve mini steamed buns that are just as good, I found a place in Tian Mu that was very good. In Singapore I was charged $1 SGD "service fee" just to sit and eat there, kinda like mandatory tipping. The siao lung bao we get here is kinda substandard. I've been told by a friend that due to health department requirements they couldn't import or prepare them the same way they do in Asia. I cannot confirm this, so feel free to treat it as a rumor. Good review! I agree with you with your opinions, and love your photos! Very high quality and professional. I like the XLB there...very juicy and flavorful, with a skin that is thinner (way thinner) than other stores. They help out in the community too...a great plus! Love reading your blog! I think it's good dumplings, but a bit overpriced. You can get the same quality siao-long-bao for 3/4 or 1/2 the price at a little Shanghai restaurant on Valley Blvd slightly east of Atlantic Blvd in Monterey Park. There's no English name only Chinese writing, but if you go during the weekend, the place is usually pretty crowded. The food there is super cheap.